Macbeth is based on an old recipe, but the taste is still savoured today. 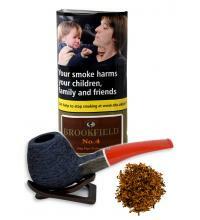 Enjoy the natural flavour of pure, well balanced Virginia of the best available, mixed with Burley. Sometimes the most delicious blends don't need lot of ingredients. Macbeth is living proof.